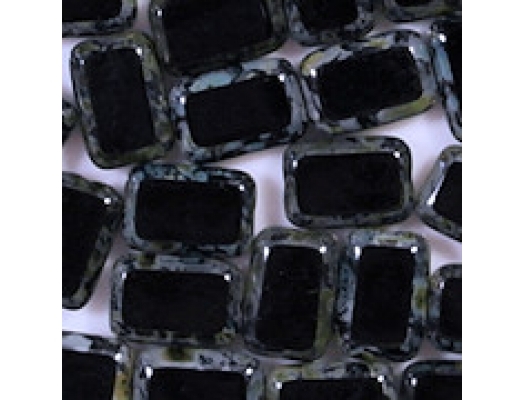 12mm flat rectangles with polished "windows"
Black glass with a gray/green picasso coating around the edges. 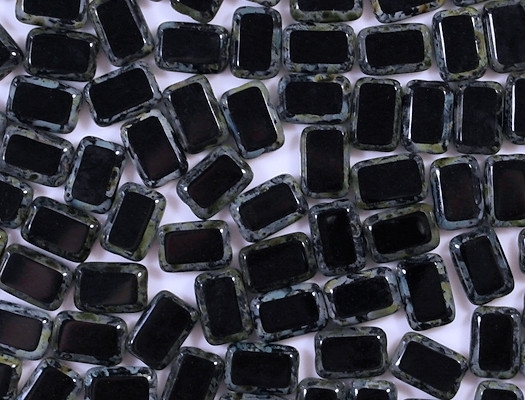 All two-sided hand-polished beads are inspected before shipping, and beads with significant defects are eliminated. I have bought these beads many, many times, and they always look about the same. 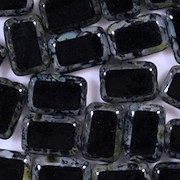 In this instance, the picasso coating is a mixture of gray and olive green with a little blue. In the past, I've gotten these beads that had only gray in the coating. 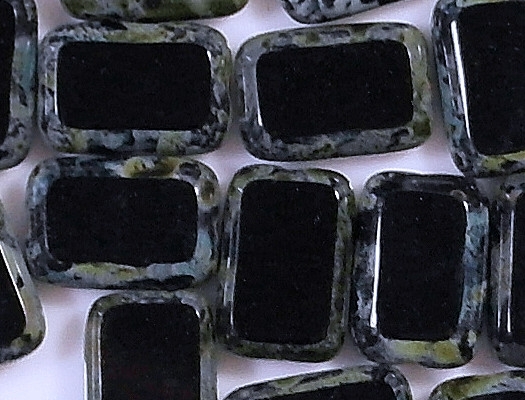 The beads pictured are an old batch. Caleb's notes: The first batch from E was dull and heavily scuffed with fine scratches. 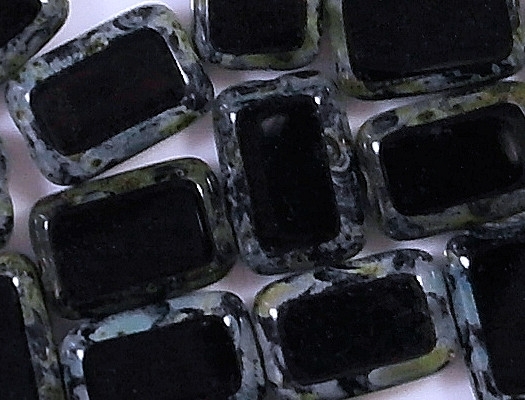 The second batch had deep scratches across about 20% of the beads (heaven knows what they were doing to them!). The first batch from C appears much more perfect; however, they are a bit thinner and have a darker, less interesting picasso coating. The batches purchased from E in 2011 and 2015 were in good shape.